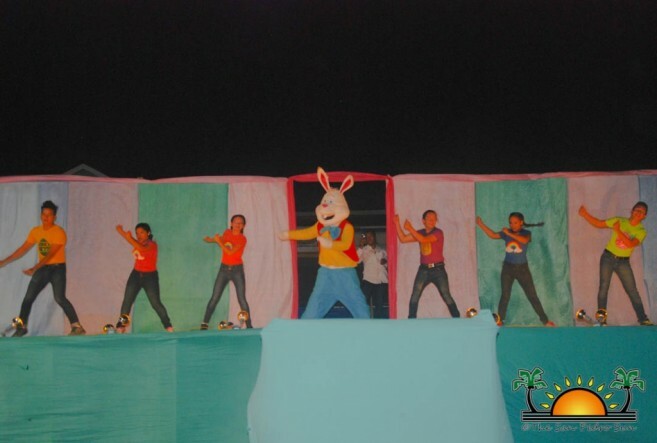 The Central Park was packed with children and families as ABC Preschool hosted its 2nd Annual Easter Show on Saturday, April 8th. 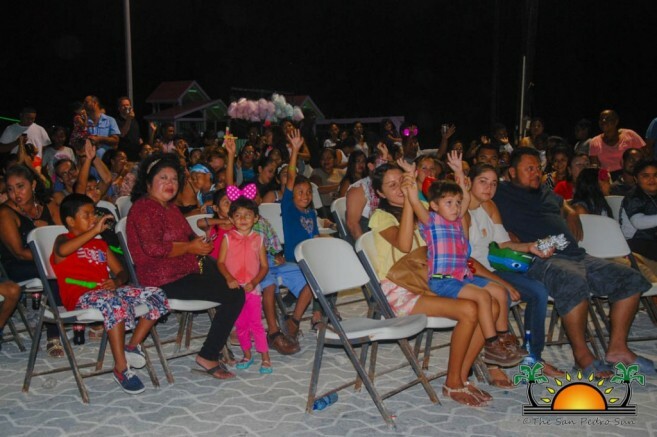 Usually organized as a fundraiser for the preschool, Principal of ABC, Wil Alamilla hosted the show free of charge for the entire public to enjoy. 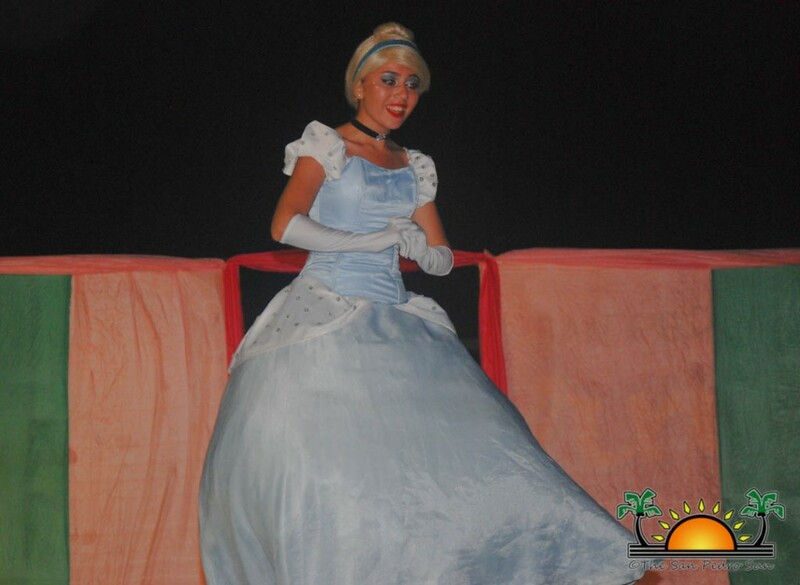 The fun-filled show had various live entertainment, featuring some beloved TV and Disney characters via actors from Mérida, Yucatan, Mexico. Master of Ceremonies Jorge Aldana welcomed all of the children and guests. Although there was not an entry fee, Aldana encouraged the crowd to support the school’s toy, food, pastry, and drink sale. Funds from the sales would go towards more school supplies and a photocopier. 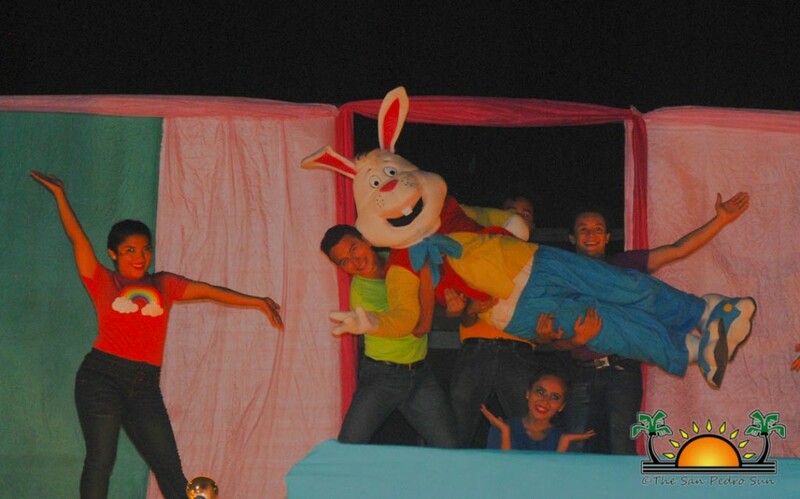 Opening the show was the Easter Bunny and his friends. Between dances and giveaways, children were enraptured. After the bunny’s performance, the San Pedro Dance Academy provided intermission entertainment with a cultural dance selection. 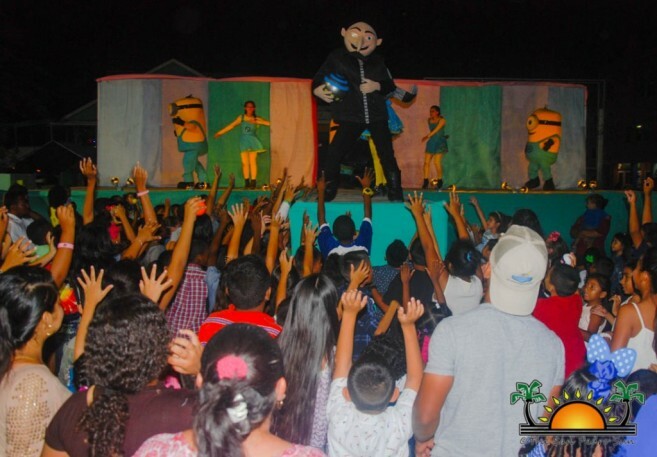 They were followed by “Despicable Me” villain Gru, along with his mischievous Minions from and back up dancers onstage. 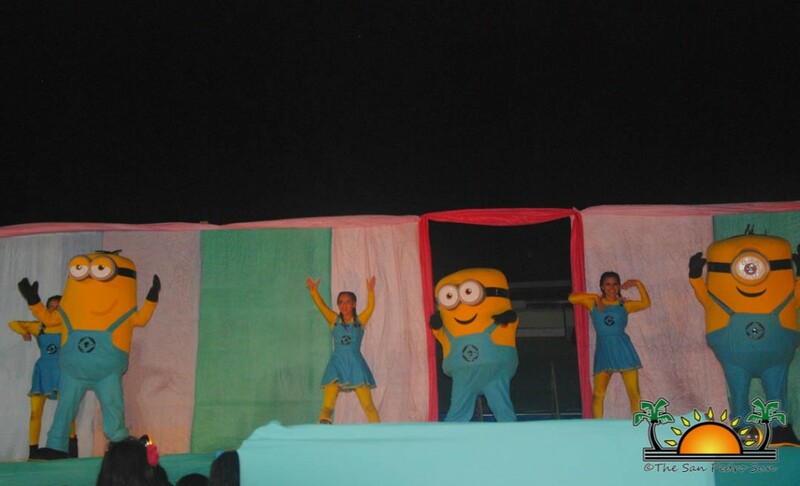 The audience was delighted, laughing and singing along to the “Banana Song”. 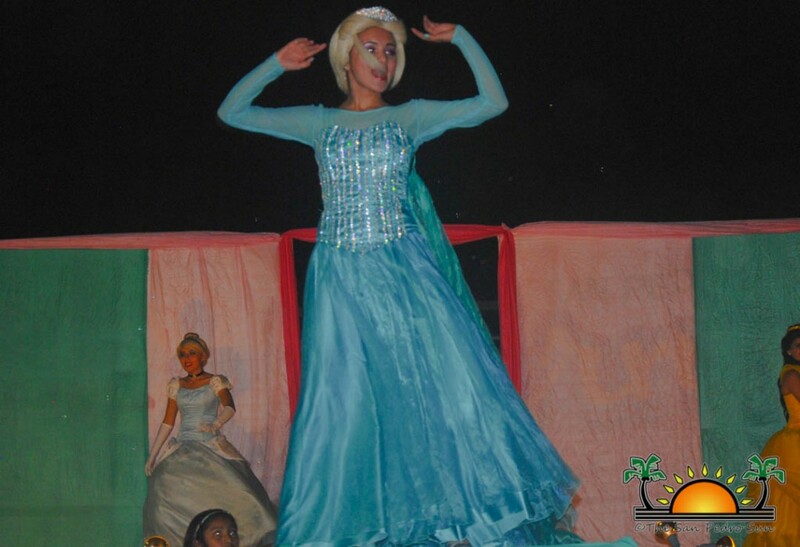 Next onstage were the popular Disney princesses Cinderella, Belle from Beauty and the Beast, Elsa from Frozen, and Princess Sophia. 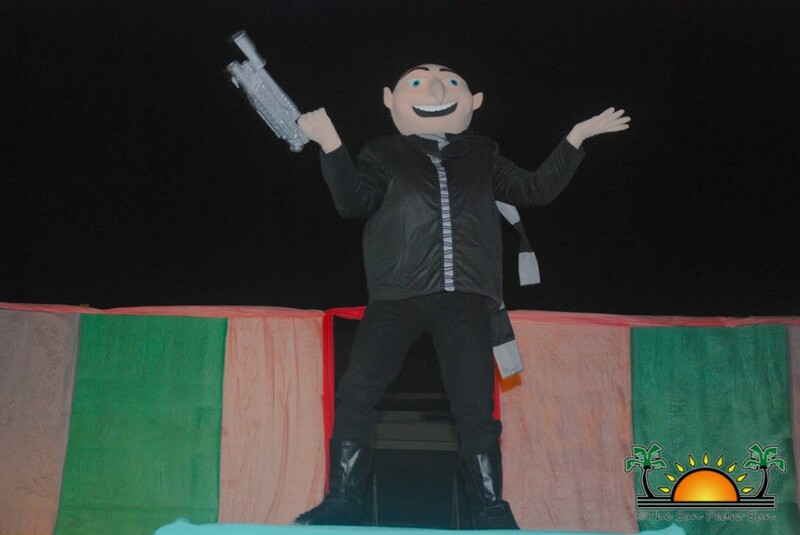 They charming characters had the youngsters smiling and cheering loudly. 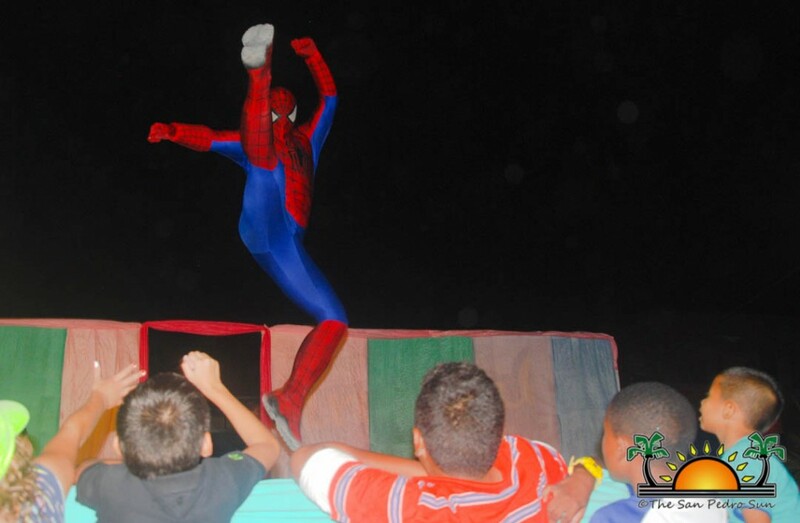 On course, no show would be complete without superheroes! Wonder Woman, Super Man, Spiderman, Joker, and Batman all came to life at the park, to the delight of their screaming fans. During intermission, the San Pedro Dance Academy performed another cultural piece before the final presentation. Personalities from Paw Patrol, a television series about six rescue dogs and a tech-savy boy, Ryder, had youngsters super excited and singing along. MC Aldana acknowledged and thanked all sponsors who made this event possible: The San Pedro Town Council, Portofino Resort, Athens Gate, Victoria House, Matachica Resort, Sandy Toes Beach Bar, Mata Rocks Resort, Rick’s Golf Cart Rentals, Moncho’s Golf Cart Rentals, The San Pedro Sun, Ambergris Today, Reef Radio, and Neri’s Tacos. Thanks also goes to all of the parents who helped with food donations, and businesses who helped with the food. See you next year!